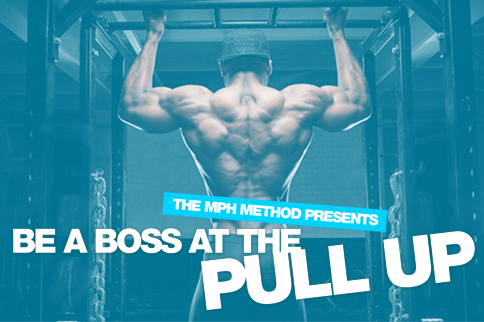 The pull up is one of those movements that everyone should be able to do. However, mastering this bodyweight exercise isn’t easy and actual physical weight plays a big part in how easy/hard the movement becomes. That said, there is a strict protocol I use with myself and my clients that ensures adequate pre requisites in order to get this movement going. I’ve made you a video showing you the progressions to take to start getting it on the road (See end of article). Be mindful that this process takes around 10 weeks to master given that you’re at a decent bodyweight. Those that are overweight or feel ‘heavy’ need to address this at the same time. Phase 1: Start with mastering shoulder retraction including Scapula press ups – Accomplish 3 sets of 10 reps. Phase 2: Work into the horizontal pull (inverted row) – Accomplish 3 sets of 15 reps chest to bar. Phase 3: Work into hanging & then progressing into the ‘Chicken Wing’ pull up – Accomplish 3 sets of 6 reps. Phase 4: Start with chin up grip with resistance bands – Accomplish 3 sets of 6 reps. Phase 5: Start with eccentric chin ups – Accomplish 3 sets of 4 reps with a 4 second eccentric phase. Phase 6: Move into full chin ups – Accomplish 3 sets of 6 reps. Phase 7: Start with pull up grip with resistance bands – Accomplish 3 sets of 6 reps. Phase 8: Start with eccentric pull ups – Accomplish 3 sets of 4 reps with a 4 second eccentric phase. Phase 9: Master the full pull up including dead hangs. This all might seem a little long winded, and for those of you who have a decent amount of foundational strength could probably skip a lot of these. But I guarantee you, if you practiced the phase you are in every other day for 10 weeks, you will have full pull ups by the end of it. ‘Roses are red, violets are blue….